Fault is one of the key factors to trap and migrate hydrocarbons. Fault sealing or unsealing can make significant influence on reservoir behavior during production. Fault sealing is a complex geological issue and influenced by many conditions. It has been researched with exploration and reservoir static data and emphasis on geometry and morphology of faulting history in the past [1–5]. Usually, there are two kinds of sealing, that is, vertical sealing through fault surface and lateral sealing across fault surface. In this paper, a new method is applied to prove fault unsealing. During the production of F oilfield, four oil producers near the main fault area are found with abnormal higher water cut than nearby wells. And high water cut cannot be decreased by several times water isolation workover. A multi-disciplinary integrated study involves petrophysics; geology and reservoir engineering are carried out to find the reason. After detailed study, the possibilities of high water cut caused by edge water incursion, bottom water coning, water injection, channel outside casing and lateral sealing across fault surface are all negated. The only possible reason is that fault vertical unsealing results in bottom water flowing through the fault surface to upper layers. This is an effective and fast approach to judge fault sealing just using general geological and production data and emphasis on production performance analysis. After that, injection and production well pattern are adjusted according to the conclusion. No new producers will be deployed in the study area because of sudden water flooding. And transfer water through the fault is used as natural energy source to the reservoir instead of new injectors, which can save injection investment greatly. Copyright 2017 Shaanxi Petroleum Society. 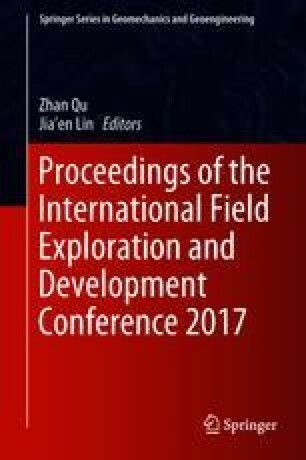 This paper was prepared for presentation at the 2017, International Field Exploration and Development Conference in Chengdu China 21–22 September 2017. Foundation item: Supported by China National Science and Technology Major Project (2011ZX05028-002); CNPC Key Science and Technology Project (2013E-050102).